9.0" x 9.0" stitched on 14 count. 7.0" x 7.0" stitched on 18 count. 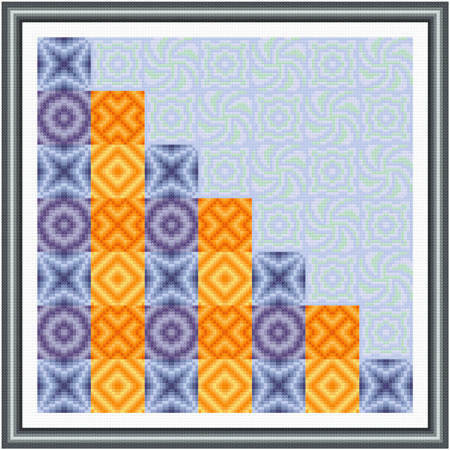 Drop and Bounce cross stitch pattern... Like amusement ride, each drop is followed by a smaller bounce before the next drop. The blue/purple squares are up, followed by orange down squares. Light squares are sky. Colors may change.